Does your family love The Lorax as much as mine? Both the movie and the book are a huge hit here. 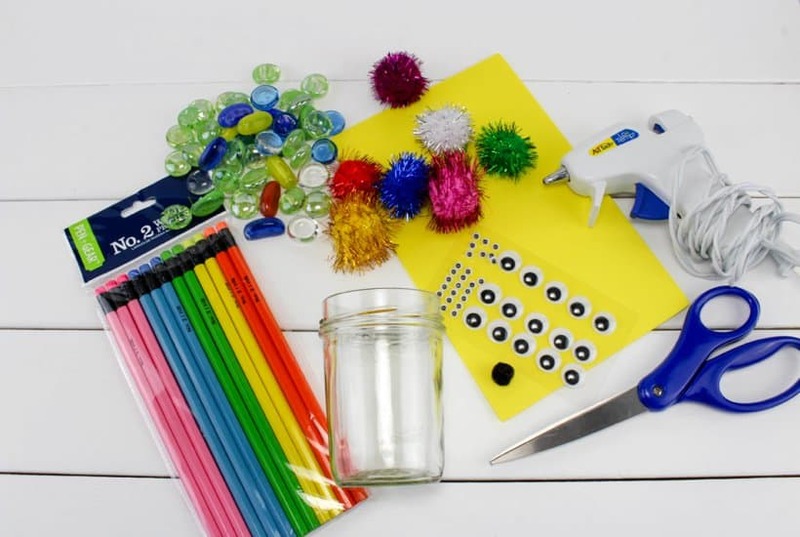 I’m a fan of activities and crafts related to books for my younger elementary kids. 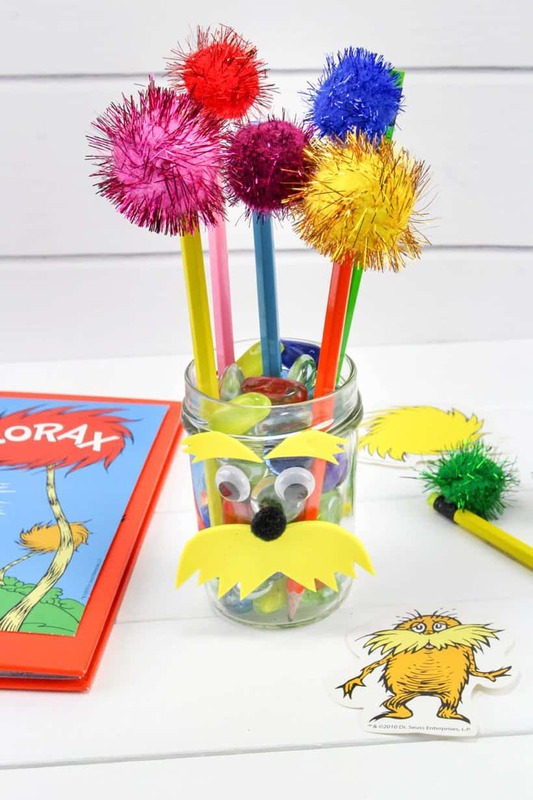 This Lorax Pencil Jar with Truffula Trees is the perfect craft to go alongside Dr. Seuss’ The Lorax. 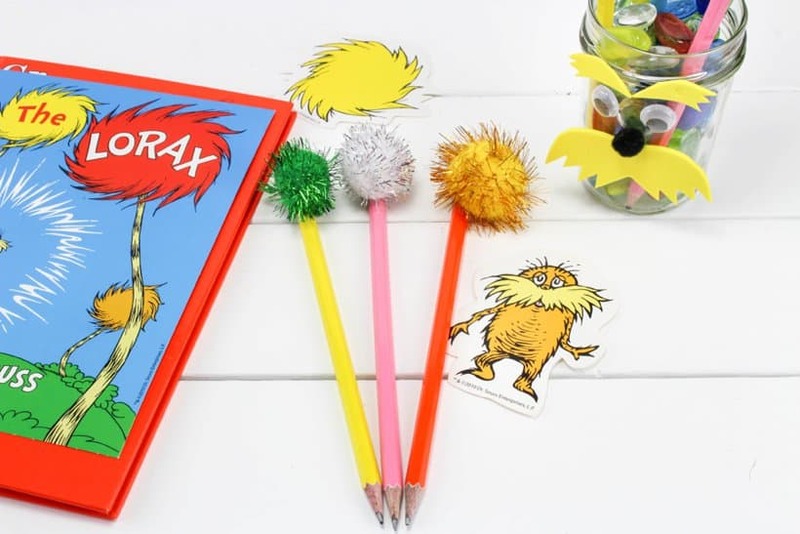 With Dr. Seuss Day just around the corner, this adorable Lorax craft is the perfect activity to add to your Seuss celebration! I know we are always looking for an excuse to throw a party at my house! 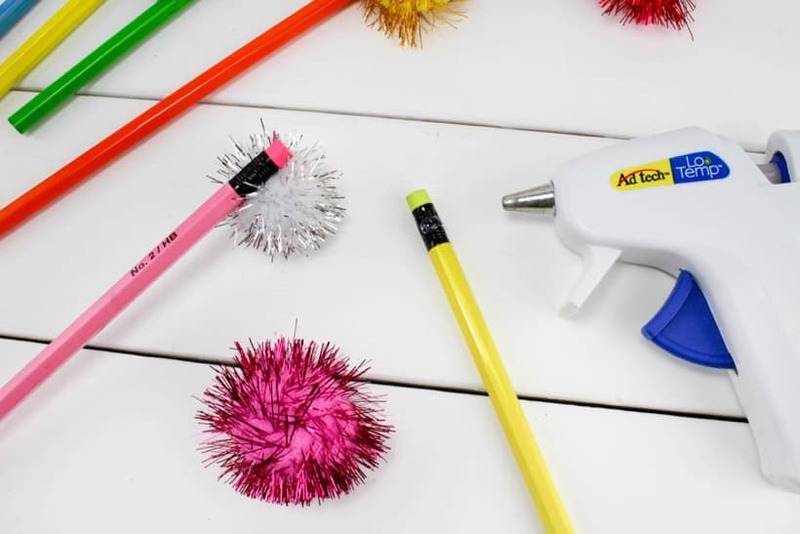 To make the truffula trees, place a dot of hot glue on the metal band of the pencil and push on a pom. Repeat until you have as many pencils as you’d like. 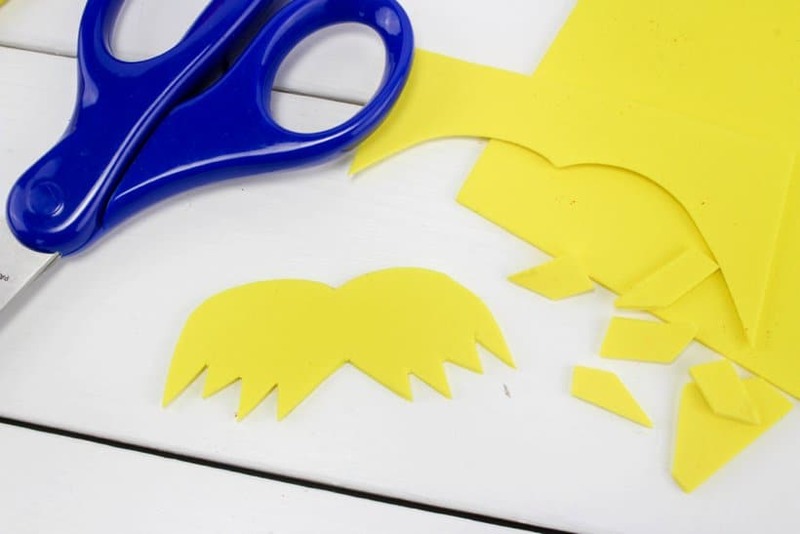 Take the yellow foam and cut out a mustache and two eyebrows for the Lorax face. 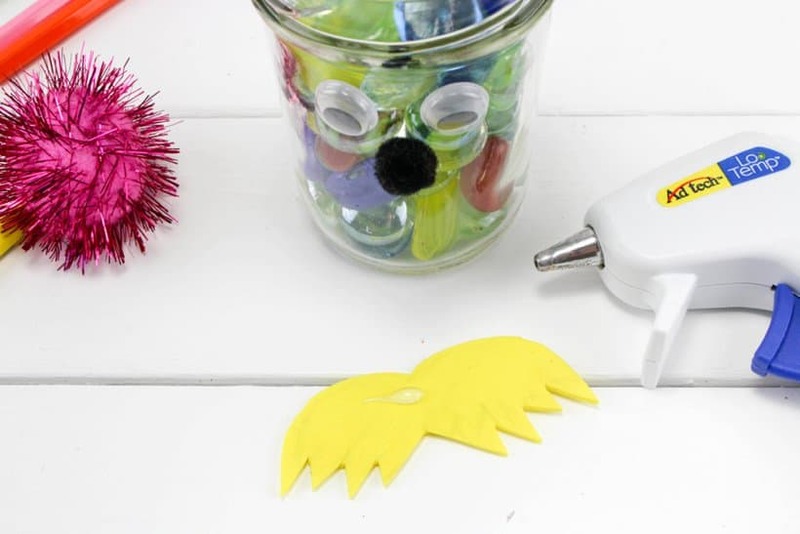 Glue a little pom nose and two eyes on to the jar. Glue on the mustache and eyebrows. 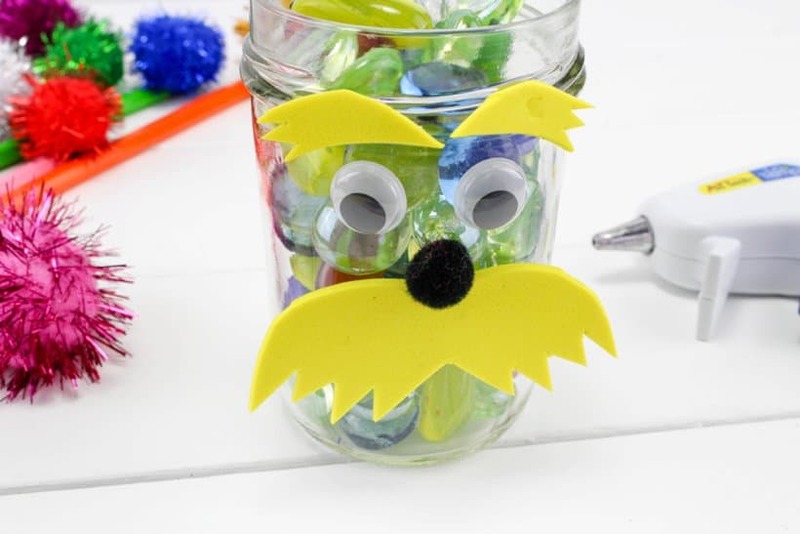 Fill the jar with the craft stones and stick in the Lorax trees. 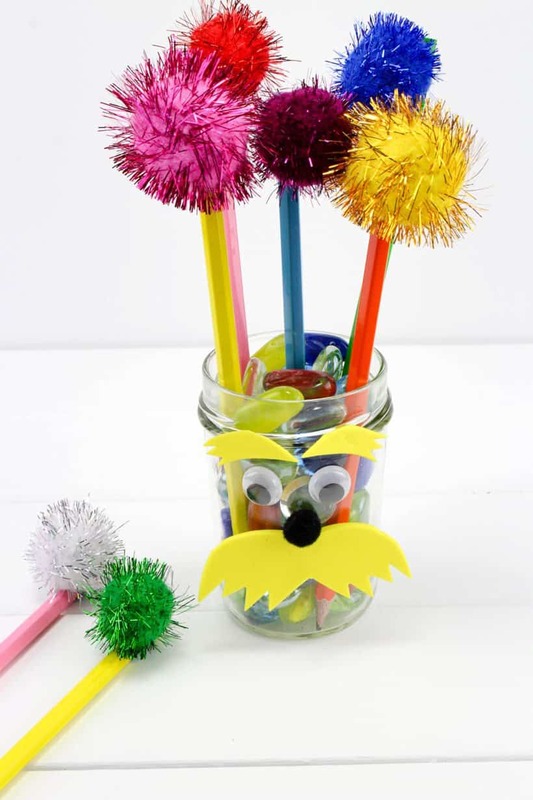 Isn’t this a super fun craft to make for Dr. Seuss Day? Make an extra to gift to your favorite teacher! How do you celebrate Dr. Seuss Day?